Dongfeng Race Team reached South Africa this evening in second place at the end of an epic Volvo Ocean Race Leg 2 that sees the red and white Chinese boat now sitting in third place overall on the leaderboard. 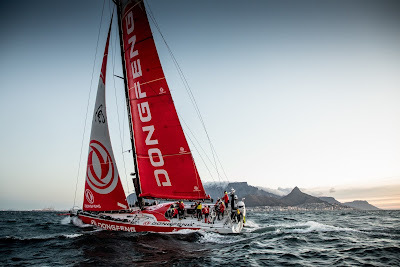 Dongfeng, which is sponsored by the Chinese truck and car manufacturer Dongfeng Motor Corporation, crossed the finish line under the shadow of Table Mountain at dusk after a voyage lasting 19 days, four hours, two minutes and 39 seconds. With an average speed of 17.2 knots, she reached the end of the 7,000-nautical mile leg from the Portuguese capital Lisbon two hours and 52 minutes behind leg winner and new race leader MAPFRE, skippered by Xabi Fernandez. Frenchman Charles Caudrelier, who is leading Dongfeng Race Team for the second successive Volvo Ocean Race, was delighted to secure the runner’s up spot after a tough stage that saw Dongfeng dominate proceedings for two weeks before falling back to fourth place and then recovering. "It's a good second place,” said a relieved Caudrelier moments after stepping ashore at the Volvo Ocean Race village at the Victoria & Alfred Waterfront complex in Cape Town. “At one point we were hoping to finish better but we made a mistake. But we made a great comeback. It was fantastic. Caudrelier congratulated Fernandez and his Spanish crew who are now three points ahead of Dongfeng in the overall standings. “Well done to MAPFRE – they did an amazing job and deserve their victory here,” he said. The Frenchman went on to express his gratitude to his own team, blaming himself for a gybe off the Brazilian coast that cost Dongfeng the lead. “I thank all the crew for what they did and the way they did it. I felt very guilty for missing the timing of the gybe but the team remained united. We were in such a strong position and it was a stupid mistake to go like that into the high pressure. We wanted to win too much and we lost a lot. But on board, the sailors have never reproached me. They said to themselves: 'We are going to give everything to recover' and we got back, little-by-little,” he said. Navigator Pascal Bidegorry was elated to finally make landfall in South Africa. “As soon as I arrived, I felt so happy to be here. It is so amazing and it is worth all the hard work for the five minutes when you arrive with Table Mountain in front of you. I think it is the only place in the world that you get that feeling. Second place in the Volvo Ocean Race in Leg 2 is a good result,” he said. Chinese bowman Chen “Horace” Jinhao, believes the crew showed its mettle under pressure as it fought back as Dongfeng hammered her way eastwards, setting the leg distance record of 519 miles in 24 hours. “We were leaders for fourteen days and we made a mistake, but the best part of the race for me was seeing the team get together and become stronger,” he said. “We came back and kept coming back; this was so exciting and the feeling was special. On watch with Jeremie (Beyou), we kept saying ‘hey man, we need to keep working hard and make this boat go fast - we can do it!’ My thanks to all the crew and even to the other six teams for a great race. They gave us the chance to work hard and improve ourselves and keep learning. 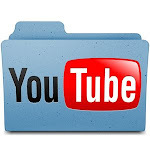 We can only get stronger from this type of racing,” Horace added. Dutch sailor Carolijn Brouwer, one of two female crew on board Dongfeng alongside Marie Riou of France, was also impressed with the way the team handled adversity after leading for so long. “We worked together as a team really well. We showed it on Leg 1 and we showed it again now. In a bad situation we can make a good situation. We made it right and this is the strength of the team,” she said. This 7,000-mile leg started with strong conditions off the Portuguese coast and then a fast run to the Equator. The Doldrums crossing was quick and relatively straightforward. It was in the southern hemisphere that the racing became increasingly tactical as the boats gybed down the South American coast trying to get around the St Helena high and then pick up a frontal system heading east towards South Africa. Dongfeng Race Team finished third overall in the 2014-15 edition of the Volvo Ocean Race. It is focused on the twin objectives of trying to win this race and help grow the sport of offshore ocean racing in China. After a well-earned break the crew will return to racing with the Cape Town In-Port Race on December 8 and then the start of Leg 3 from, Cape Town to Melbourne, on December 10. That stage could have a big influence on the final outcome of the race because it scores double-points.